Growing Gardens reduces hunger and improves healthy food access by helping low-income families build and grow vegetable gardens. Families receive three years of support including seeds, plants, tools, compost bins, garden mentors and workshops to help them become successful, lifelong gardeners. 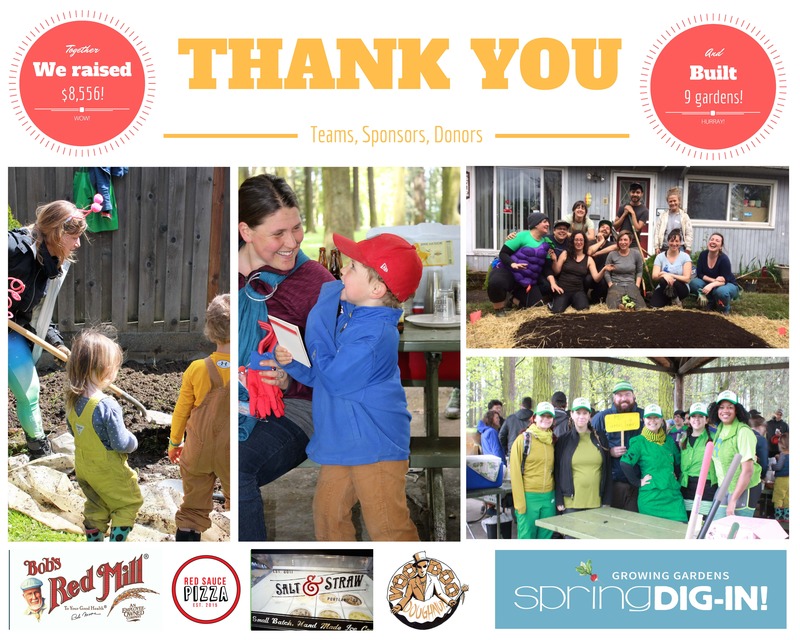 Our annual Spring Dig-In brings the community together to fund these efforts and build backyard gardens for low-income families. Click to learn more about the Spring Dig-in.